These amazing pictures were taken by Simon Berger and unfortunately as much as I've looked there seems to be no information on Simon as an artist anywhere out there, although his pics seem to be floating around on quite a few websites. 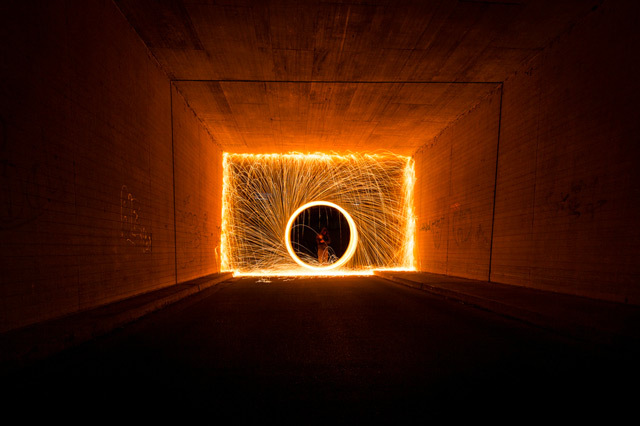 Simon acheived these incredible images with a technique called light painting. 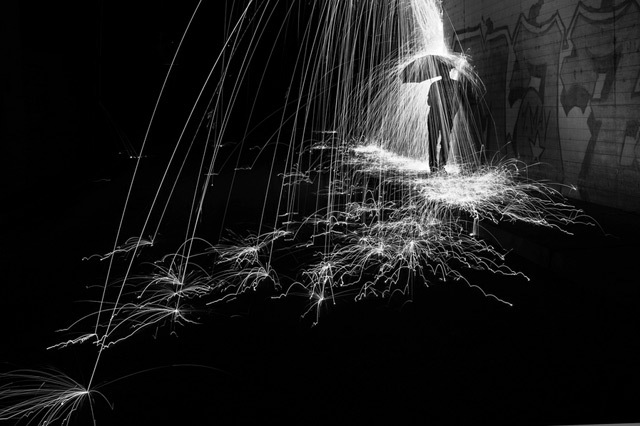 Wikipedia defines light painting as: a photographic technique in which exposures are made by moving a hand-held light source or by moving the camera. 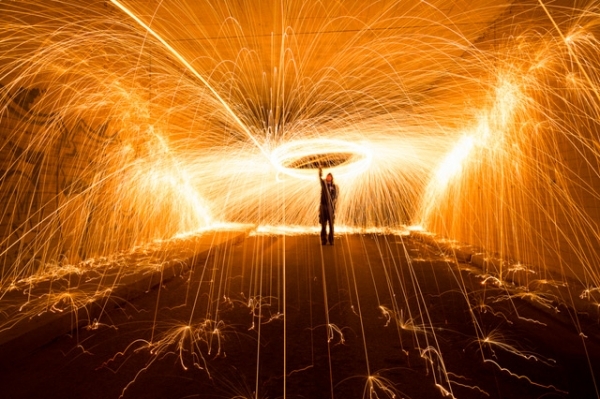 The term light painting also encompasses images lit from outside the frame with hand-held light sources. 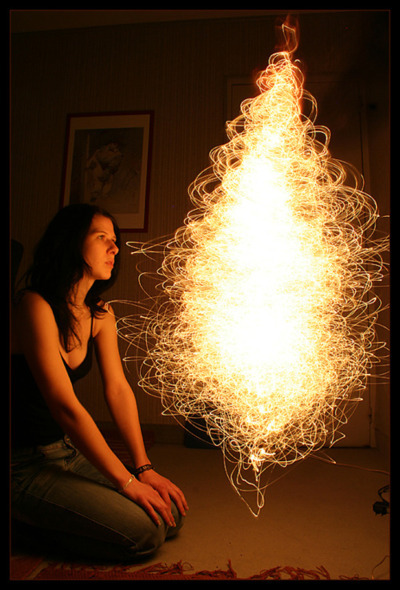 I have to admit I've tried this with some sparklers on several fourth of Julys but it has always ended in frustration and about 20 failed pics- maybe I should learn how to use my camera?